Field Trips - Come Birding With Us! Field trips are free to Audubon members and non-members unless otherwise noted. We encourage birders of all skill levels to participate. Trips are subject to change or cancellation so please pre-register with field trip leaders with your contact information so they can reach you in the event the trip does change and/or is cancelled. Remember to dress accordingly as the weather can be very unpredictable in Nevada, and please bring a snack and lots of water, and binoculars if you have them! When: Saturday April 13, 7:30 a.m. to ~11 a.m.
Where: We will meet behind Reno Fire Station #12 off Steamboat Pkwy just before Veterans Pkwy in So. Reno. When: Friday, APRIL 26, 2019, 7:30 a.m. to ~11:00 a.m.
Where: Meet at the Nature Conservancy Genoa Lane parking lot at the north end of the preserve. This is an out and back walk along the West Fork of the Carson River in the Nature Conservancy’s preserve. We should find Geese, plenty of waterfowl, Sandpipers, Woodpeckers, Kinglets, Raptors, Sparrows, Finches, and maybe Cranes or a Dipper. When: Saturday, April 27, 2019, 7a.m. – 12p.m. 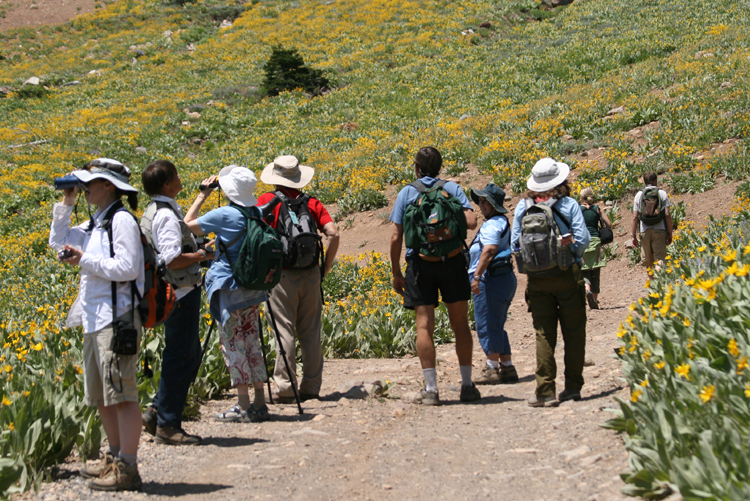 This is an easy walk on paved trails, and birders of all experience levels are welcome. We hope to see some early spring migrants and resident birds of wetlands and open meadows. It is a good place to get great up-close views of waterfowl and other wetland birds and to enjoy the early spring songs of Red-winged and Yellow-headed Blackbirds and Marsh Wrens. If we are lucky we will get to see the American Bittern(s) that hang out there. Bring binoculars, a spotting scope if you have one, and extra layers of clothing for unpredictable weather. Prepare to be out until about noon. We will meet in the parking lot of The Home Depot, 1001 Steamboat Pkwy. From Reno: take the Damonte Ranch Exit from 395 and turn east onto Damonte Ranch Pkwy. Continue to Promenade, turn left and then right. The Home Depot parking lot will be on your left, McDonald’s on your right. In the case of inclement weather, the field trip will be cancelled. You can contact the leader to be sure. When: Friday, May 3, 2019, 7:30 a.m. to ~11 a.m.
Where: Meet at the Parking lot before the entry gate. The park is located south of Reno in the Washoe Valley off of Hwy 395. This wooded area is a great place to find Nuthatches, Creepers, Warblers, Woodpeckers, Kinglets, and waterfowl on the pond and Osprey nesting. Walking around the lower part of the park is medium strenuous, but if we take Ophir Trail there will be some difficult sections. When: Saturday, May 4, 2019, 7a.m. Where:The Nature Conservancy’s McCarran Ranch, Truckee River, meeting at the new entrance on the south side, so please contact Dennis or Becca for directions. This will be an excellent trip to observe migrants, as migration will be in full swing. We should also be able to observe the restoration work The Nature Conservancy has been completing over the past several years. We will be meeting at the new entrance on the south side, so please contact Dennis or Becca for directions. The plan is to bird along the south side of the river down to the new bridge, and possibly go across and bird the north side if time and interest permits. We will not be returning to the cars for lunch, so please bring a lunch to eat in the field, plenty of water, warm clothes, and binoculars. Space is limited to 12 people, so please contact the leaders to reserve your spot. When: Saturday, May 18, 2019, 7-11a.m. 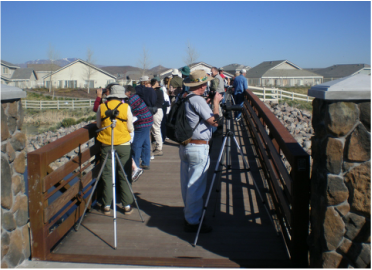 Sponsored by Friends of Silver Saddle Ranch and Lahontan Audubon Society, this trip includes a walk along riparian habitat adjacent to the Carson River. Other habitats along the way include agricultural fields, sagebrush, and willows. The diversity of habitats provides for a diversity of bird species, and with migration in full swing there is likely to be a surprise, or two. 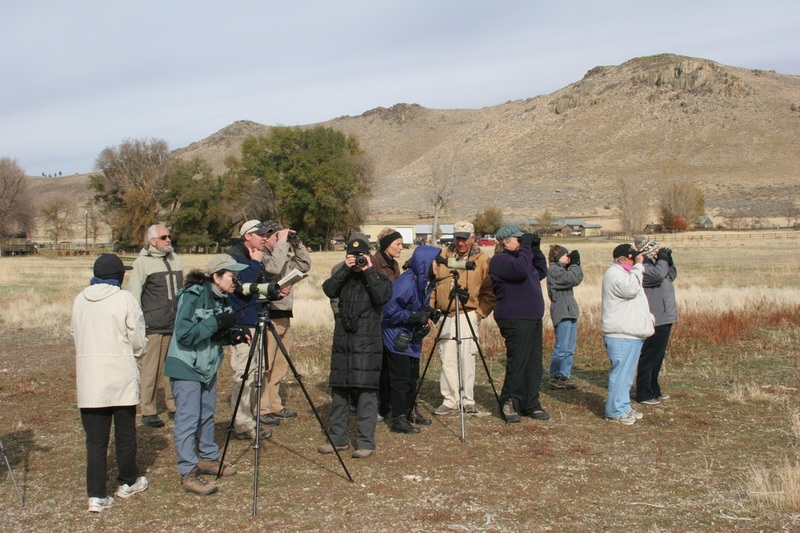 All levels of birders are welcome, and beginning birders are encouraged to attend. The bird walk is free for everyone, and if you are hungry you can get breakfast at the event; Friends of Silver Saddle Ranch are free, LAS members with a $3 donation, and non-members $5 donation. Feel free to call Nancy for additional information. When: Friday, MAY 24, 2019, 7:30 - ~11 a.m.
We will start by walking through the Arboretum where we will find Waterfowl on the pond as well as Warblers, Sparrows, Jays, Chickadees, and maybe a Cooper’s or Sharpie. Then we will cross under McCarran Blvd to the Nature Trail and into Evans Canyon looking for Owls, Warblers, and Flycatchers. ​Check the Calendar or LAS Facebook Events Page for the dates and details of all of upcoming field trips sponsored by LAS and other organizations . ​RSVP information is included with each field trip description. contact Field Trip Coordinator, Bill Grossi at mary.bill@charter.net. For Information about Christmas Bird Counts, go to this page.